The ole Boss Chad is getting nervous (what’s new?) about the Save the Blog party (that y’all better come to or I swear I’ll lose it). Ole Boss Chad: What if, like, 200 people show up? Just the Assistant: Ha! That’s your problem, buddy. This wasn’t my idea. Ha! I hope I do get 200 people. He has other reasons to be nervous though. He’s about to lose one of his best mortgage bankers if he doesn’t pull out a vacuum and learn how to organize a bit better. Here’s the thing. Hollywood Insider Gobe is back. Y’all might remember that Hollywood Gobe was pregnant a while back, and while she was busy giving birth and raising an infant, she took a few months off. Well, not only is she back, but she gets a big swanky office! (I think she closed like a thousand loans or something and it’s her reward). 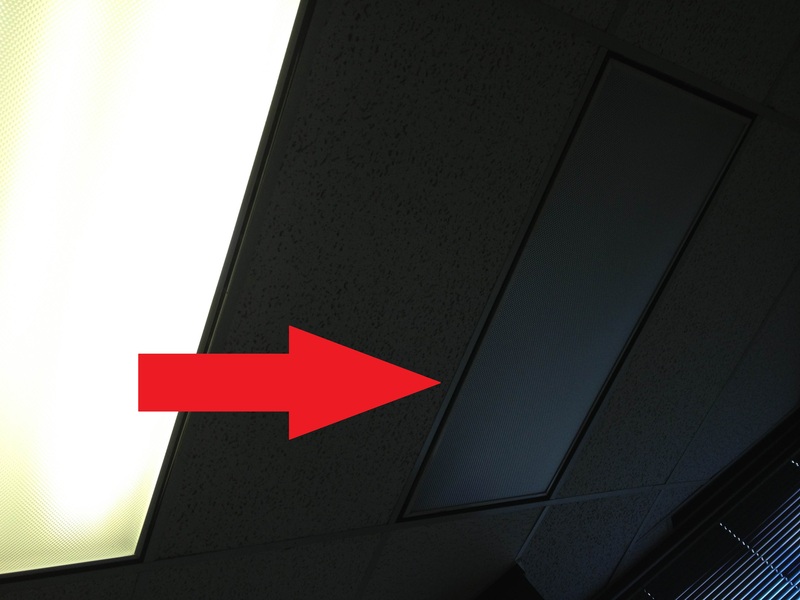 Oh, and the lights don’t work. 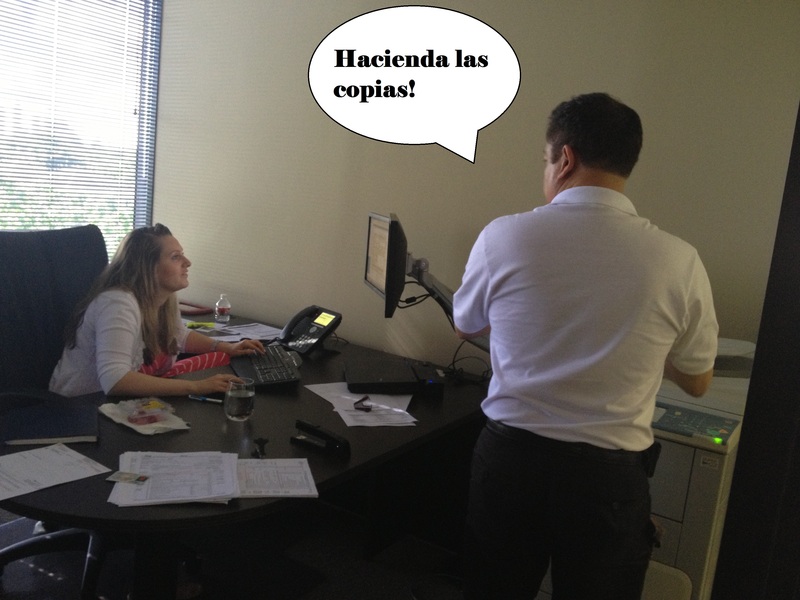 Spanish-Speaking Richard enjoys the new resident in the copy room. Just the Assistant: Nice office, Gobe! How did you close so many loans last year? HIG: I don’t know. I just worked. JTA: Well that’s just fascinating, Gobe. Our readers will be thrilled, I swear. HIG: I don’t know. I just worked and followed up with clients and got deals done on time? JTA: Girl, you need to take some bragging classes from Online Dater Jason. So what’s your plan now that you’re back? HIG: I’m just building up my business again. And I’m going to have a happy hour for my realtors in a couple of weeks. JTA: That’s so fun! Realtors go nuts over you. They should send you leads to welcome you back! Okay, you get back to work and I’m going to make some copies, okay? While Gobe gets back to work (in the dark), you all comment below and tell me you’re coming to my Save the Blog party. Now, off to screw something up to ensure the ole Bosses never “reward” me with my very own office. how mean! Gobe should have come back to a large floral arrangement…of peonies. we’ll be moving the day of the party, or else i would 100% be there! so that should count. Hey JTA, no one ever answered my question: what if out-of-town fans of JTA send $$ instead of coming to the Save JTA party? Would that count? Add two more to your list for the Save the Blog Party.